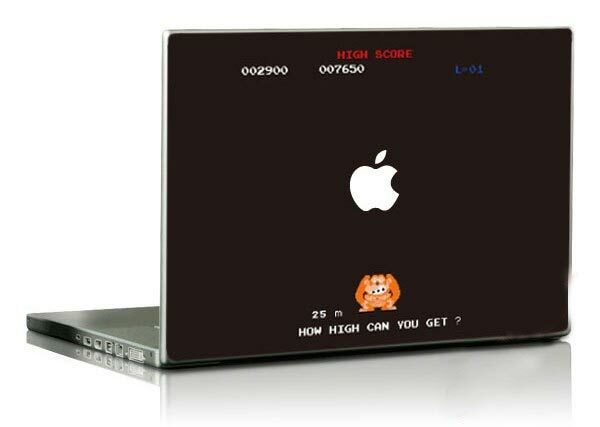 We have featured a couple of cool MacBook decals here ate Geeky Gadgets, like the cool PC vs Mac version, here is a fun MacBook decal for all the Nintendo fans out there, the Donkey Kong MacBook Decals. 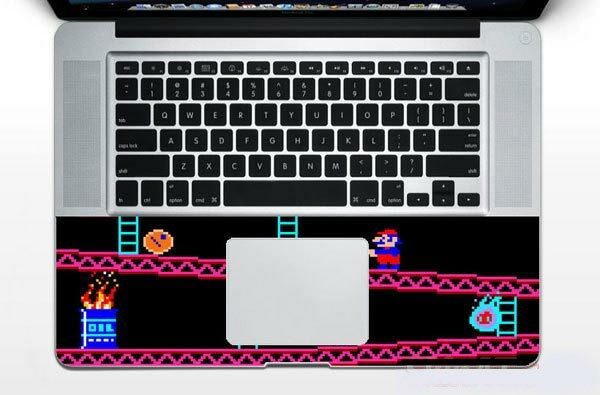 These fun Donkey Kong MacBook Decals are available for both 13 inch and 15 inch MacBook Pro’s, and you get two decals in the set, one for the back of the MacBook and one for the wrist rest. If you want a set, these cool Donkey Kong MacBook Decals are available for $22 from Etsy.